During the month of June, you can get fit while enjoying the gorgeous June weather, and while helping to grant wishes at the same time! Make-A-Wish helps to grant the wish of a child with a critical illness every 38 minutes. When you participate in a local Walk for Wishes event, you can play a part in helping to make this possible. Make-A-Wish depends on generous donors, supporters, and volunteers to accomplish everything that they do for local children. Walk for Wishes events are fun for the whole family. Attend a Walk for Wishes event in your area this June and help to grant wishes for kids in your community. June Walk for Wishes events will take place in Illinois, San Francisco, Ohio, and Kentucky. Register today for an event in your area and help to grant wishes for children between the ages of 2 ½ and 18 who are battling critical illnesses. Your participation in these exciting events truly do make a difference in the lives of children and their families. Attend the Moline Walk for Wishes event on June 6, benefiting Make-A-Wish Illinois. This family-friendly event will be held at Old River Drive and 54th Street. Show off your best superhero or historical figure costume to walk and run for wishes in this exciting 5k run or 1-mile walk. General registration for adult runners is $30 and adult walkers pay $25. Students ages 18-22 pay $15 and children under 18 walk for $10. Toddlers, infants, and Wish Families all walk for free. Participants are also encouraged to fundraise for Make-A-Wish Illinois. Learn more about the walk here and register today! If you live in San Francisco, don’t miss the 95th Annual Statuto Race and Fun Walk on June 7 from 7 a.m. until 2 p.m. The Statuto Race and Fun Walk is America’s 4th oldest foot race! The 5-mile run and 2-mile walk start at the San Francisco Italian Athletic Club. Registration is $30 for the race and $25 for the walk, or $40 for the race and $35 for the walk if you wait to register until the day-of. Race winners will be awarded! Register today. Earned proceeds from the event will benefit Make-A-Wish Greater Bay Area. 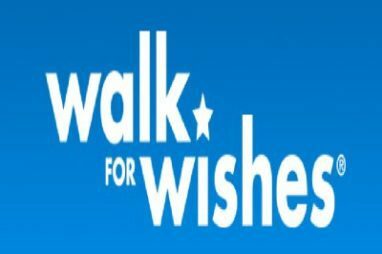 You can Walk for Wishes to benefit Make-A-Wish Ohio, Kentucky, and Indiana in either Toledo, Cincinnati, or Louisville on either June 13 or June 20. The Ohio walk events will be held on June 13 and the Kentucky walk will be held on June 20. The 9th Annual Toledo Walk for Wishes will be at the Powertrain Family Park and over 1,000 supporters are expected to attend. There is no registration fee to attend, but participants are encouraged to fundraise for Make-A-Wish. Make-A-Wish Ohio, Kentucky, and Indiana has more than 800 pending wishes for children living in areas like Akron, Cleveland, Cincinnati, Columbus, Toledo, Indianapolis, Fort Wayne, Evansville, Louisville, and Lexington. Your participation can help to grant wishes for children in your community. Register today to Walk for Wishes in Toledo or register to walk at Sawyer Point in Cincinnati. The 12th Annual Cincinnati Walk for Wishes is expected to bring in more than 1,200 supporters! If you live in Kentucky, the 5th Annual Louisville location is the perfect opportunity for you. This event will be held at the Papa John’s Cardinal Stadium and is expected to attract more than 1,000 supporters. Register here. All three of these great Ohio and Kentucky events will benefit Make-A-Wish Ohio, Kentucky, and Indiana! If you can’t attend any of these June Walk for Wishes events, consider car donation. You can still share the power of a wish through a donated car, truck, boat, motorcycle, or camper. Call 1-877-431-9474 or fill out an easy online vehicle donation form. Your unwanted vehicle will be picked up or towed away at no charge to you, and you will receive a great tax deduction at tax time. The best benefit of all, however, is the fact that your car donation will help to make a wish come true for a child in your community.